Please see below examples of heat pump, solar, underfloor heating & air conditioning installations. Our latest retrofit installation on East/West roof elevations. 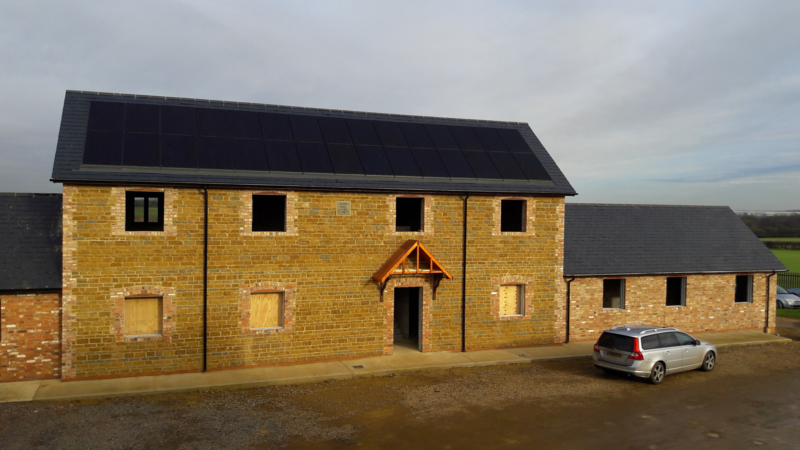 Griffiths' installation of Viridiansolar's Clearline 'In-roof' photovoltaic panels. The installation of Daikin's In-Roof Solar Thermal collectors. A great asthetics with slate roof! 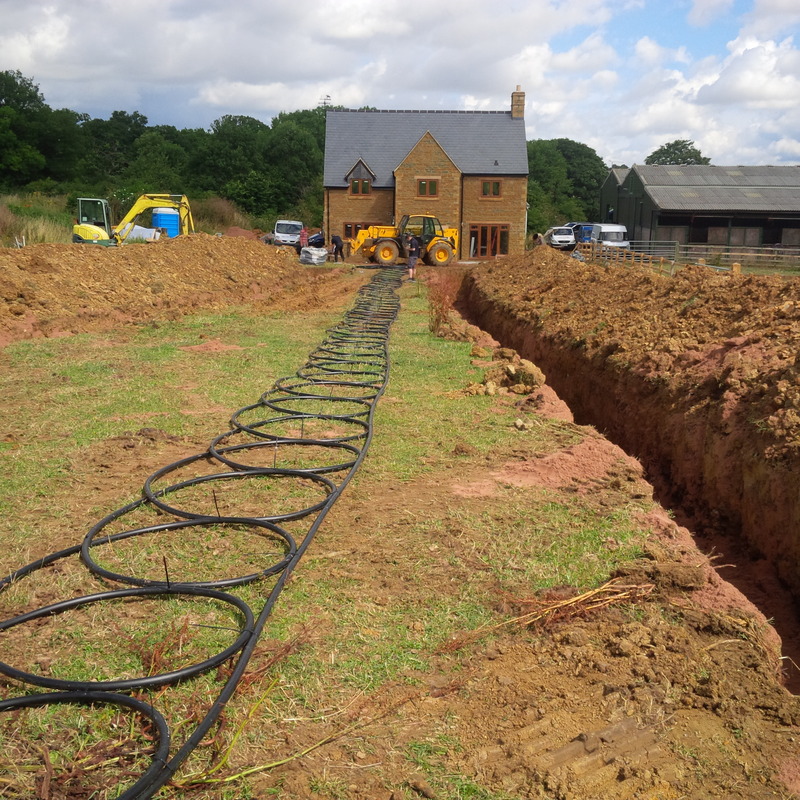 Installation of horizontal ground collectors, for a ground source heat pump system. Comfort and style in the home! Griffiths install the latest Daikin emura wall mounted air conditioning systems. 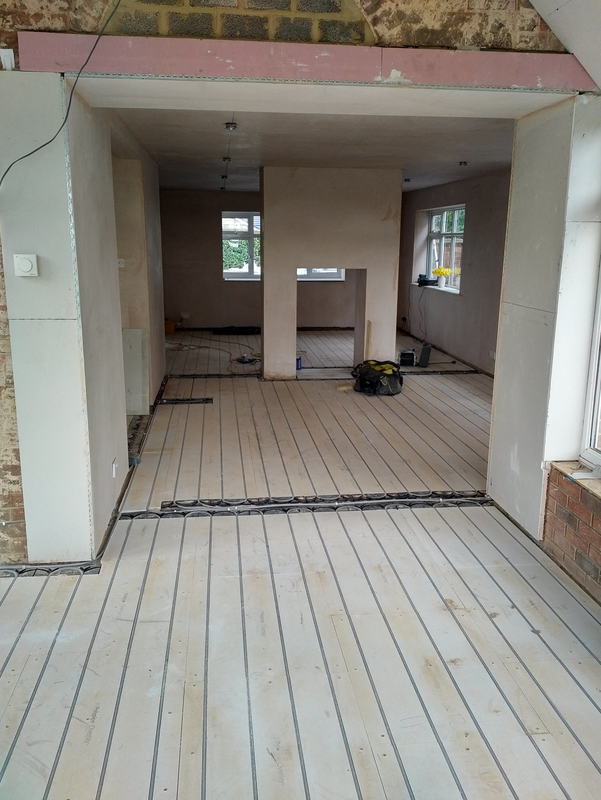 The installation of Polypipe's 'Solid' underfloor heating system in an annexe to provide optimum comfort. A local installation of a Daikin 'Roundflow' ceiling cassette air conditioning unit. Keeping customer cool whilst enjoying their cocktails! 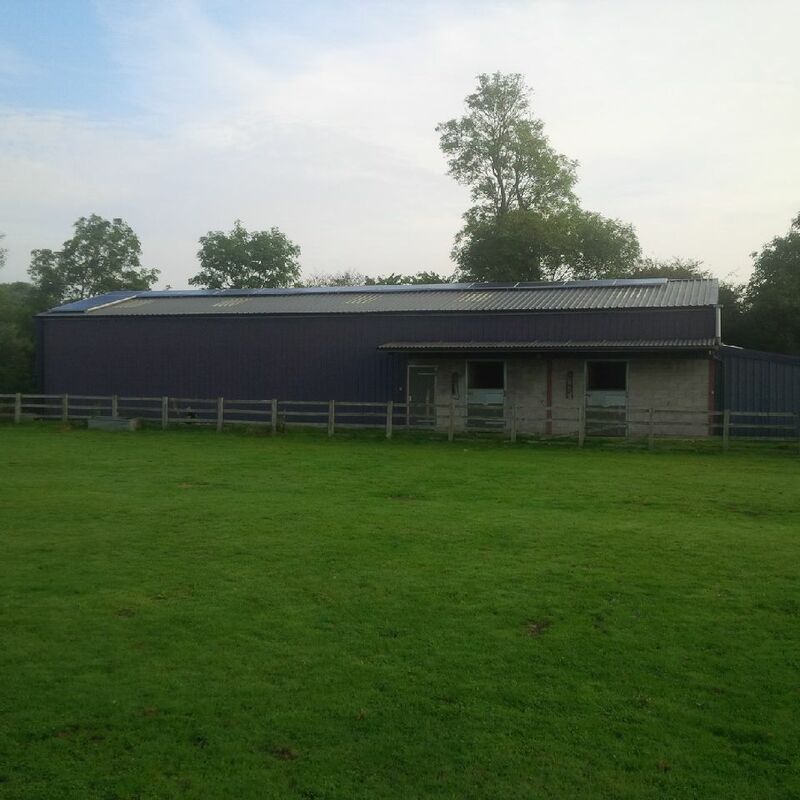 The installation of a 4kWp Photovoltaic Solar Installation on a membrane roof. 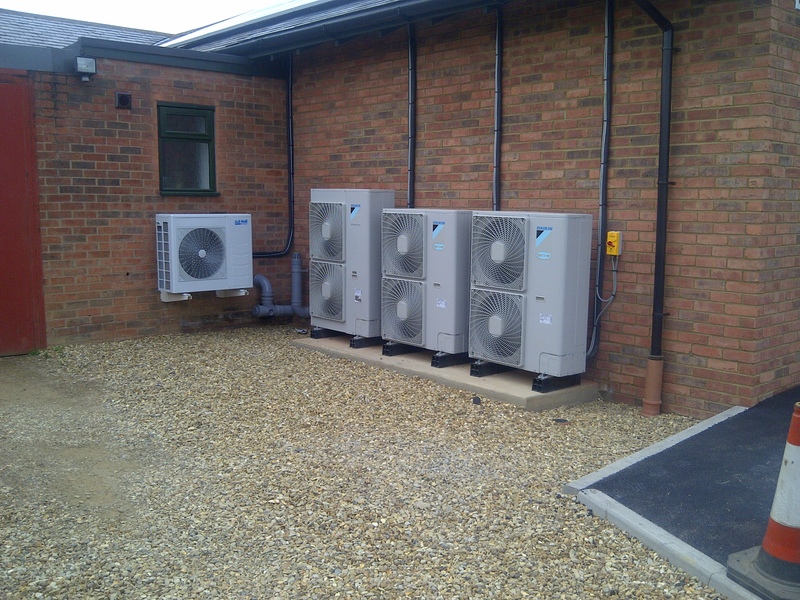 A tidy installation of Daikin air conditioning condensor units. Come visit our display at Northamptonshires steam rallies to discuss potential energy savings for your property. 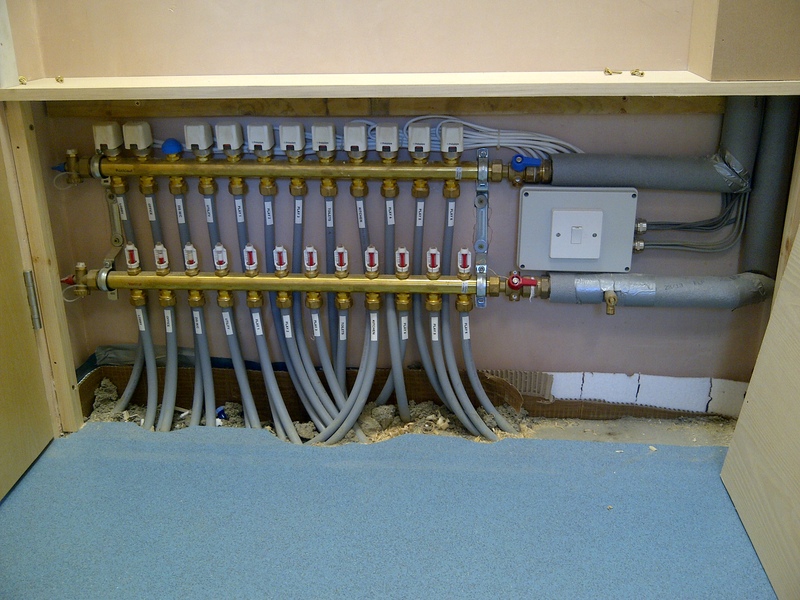 Example our discreet underfloor heating manifold installation. 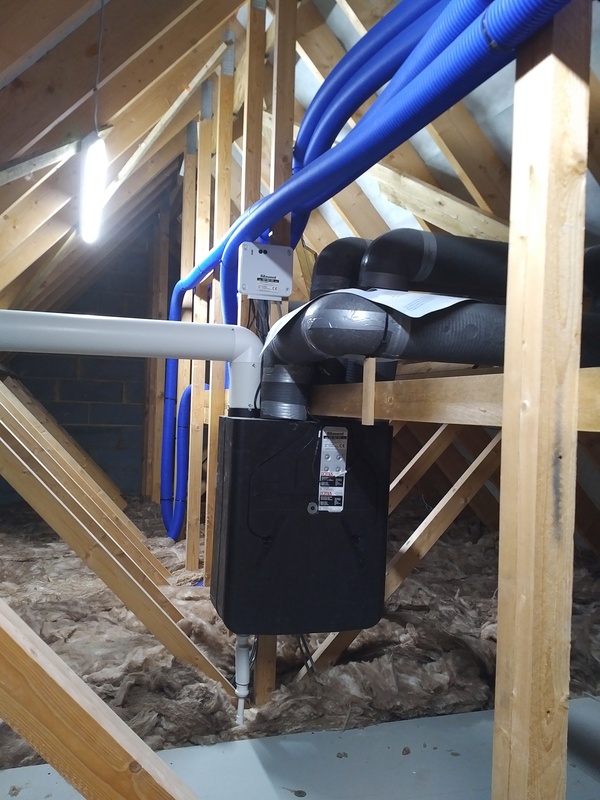 Another installation of Polypipe's HRX whole house heat recovery ventilation system. 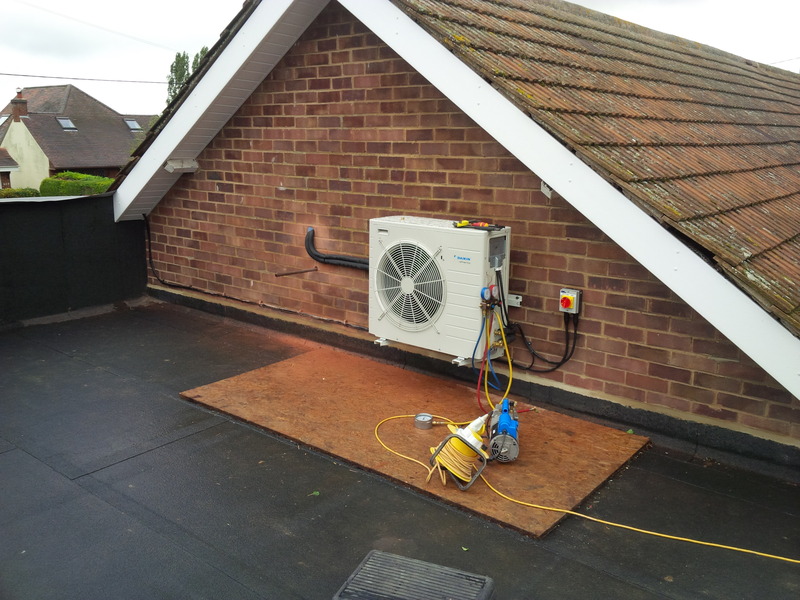 Providing clean fresh air throughout a property, whilst lower energy bills. 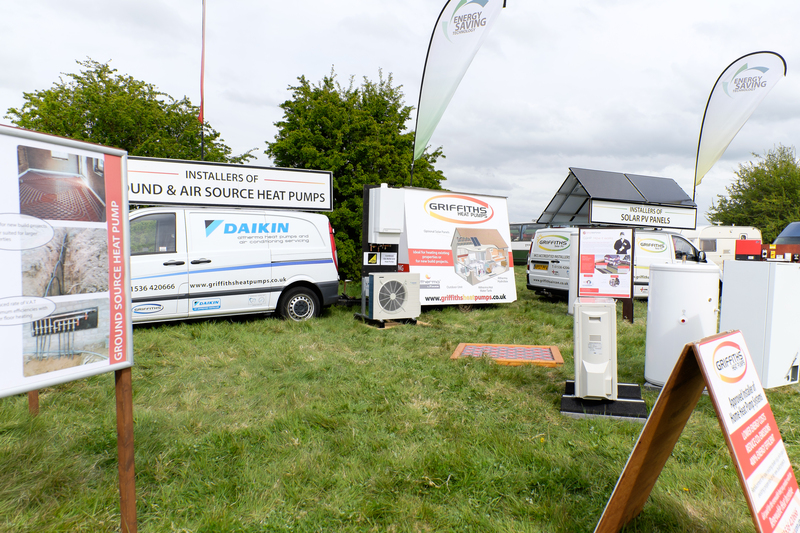 Come visit our Energy Efficiency Centre to see working examples of Daikin's altherma heat pump systems. 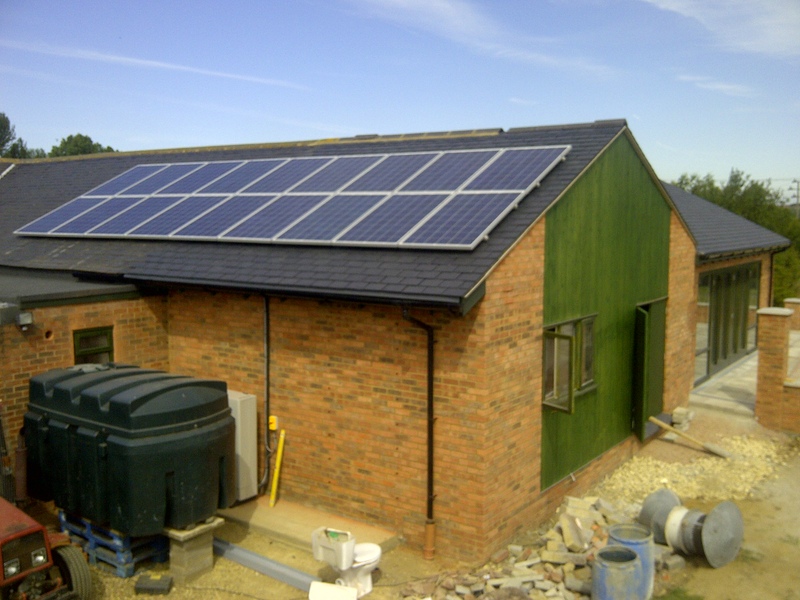 Maximising the potential of outbuildings with a Photovoltaic solar array! 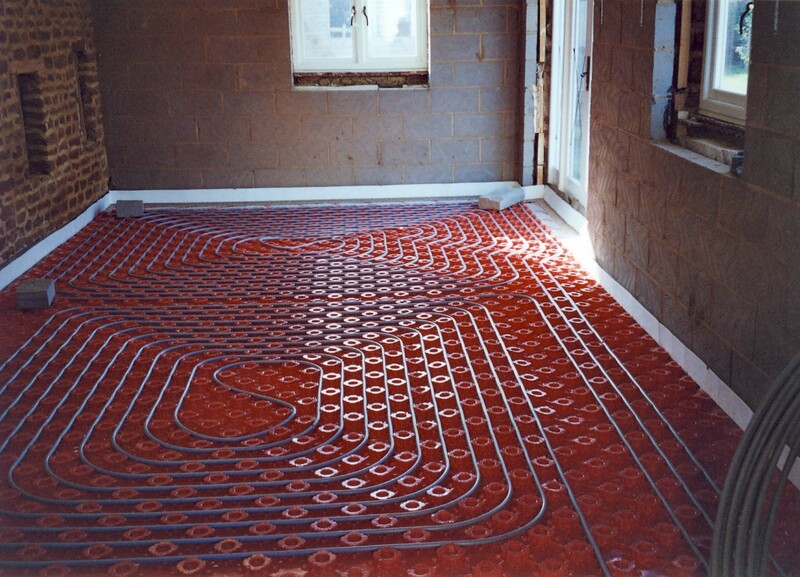 Example of Griffiths underfloor heating installation. Polypipes 'solid' floor system, wtih 18mm pipes at 100mm spacings, in a spiral configuraiton for maximum heat output! 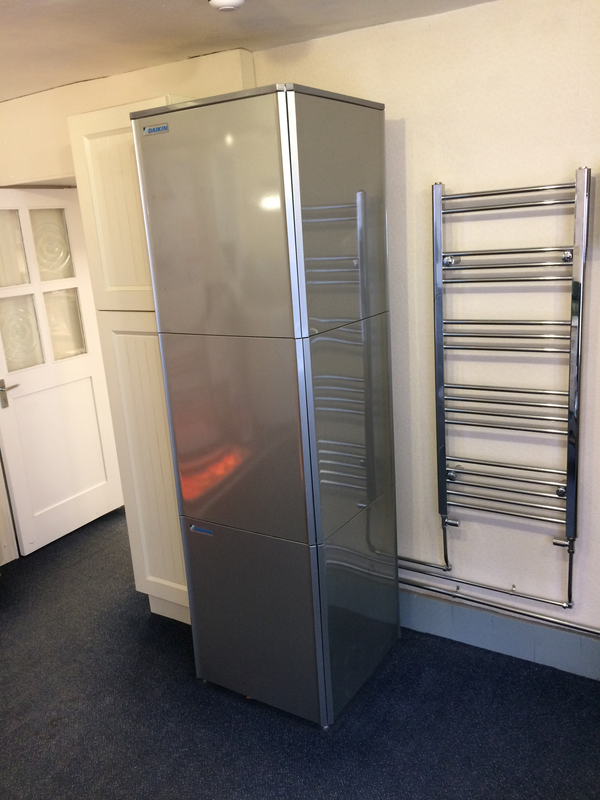 Daikin's altherma heat pump cylinder fits in most conventional airing cupboards. 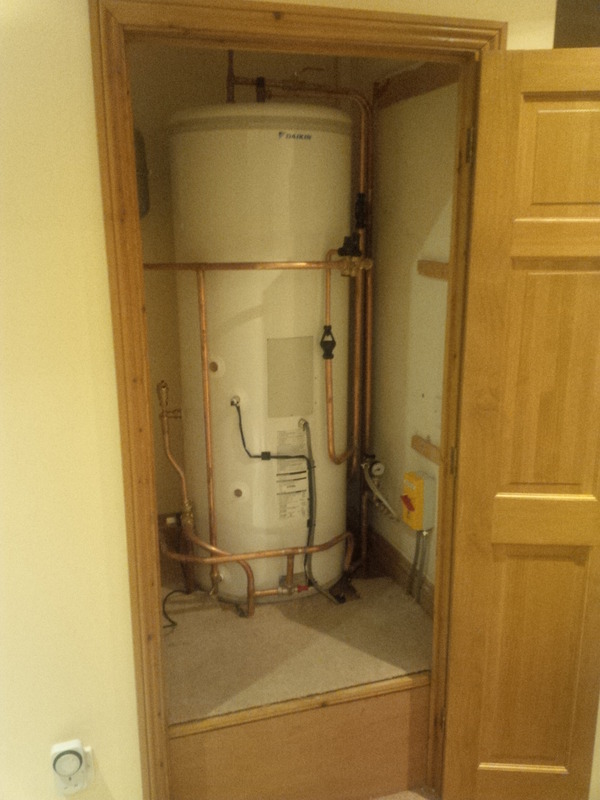 An example of a Griffiths 'retrofit' heat pump installation. Installing 'slinkies' for a ground source heat pump system. First show of 2017! Great weekend at Selfbuild and Design show (East of England Show Ground). Demonstating to self builders the beneft fit of energy efficient/low carbon heating! A recent installation of Polypipe's overlay underfloor heating system. Excellent solution for existing floor coverings. 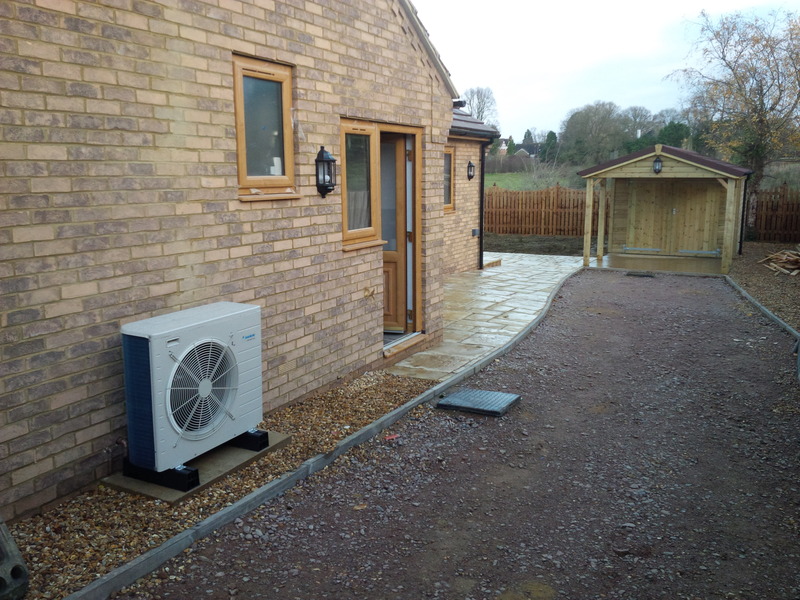 A compact installation of a Daikin altherma heat pump's hydrobox. 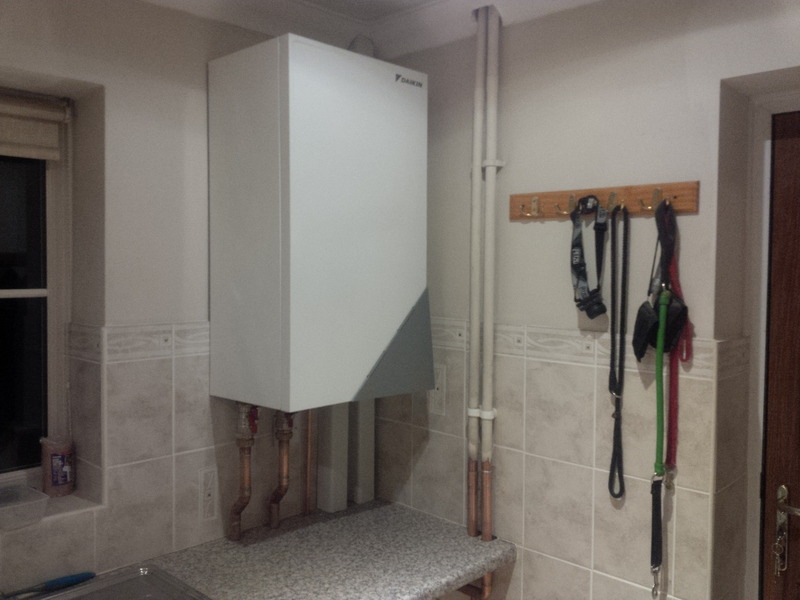 Saving the customer space in their utility room! 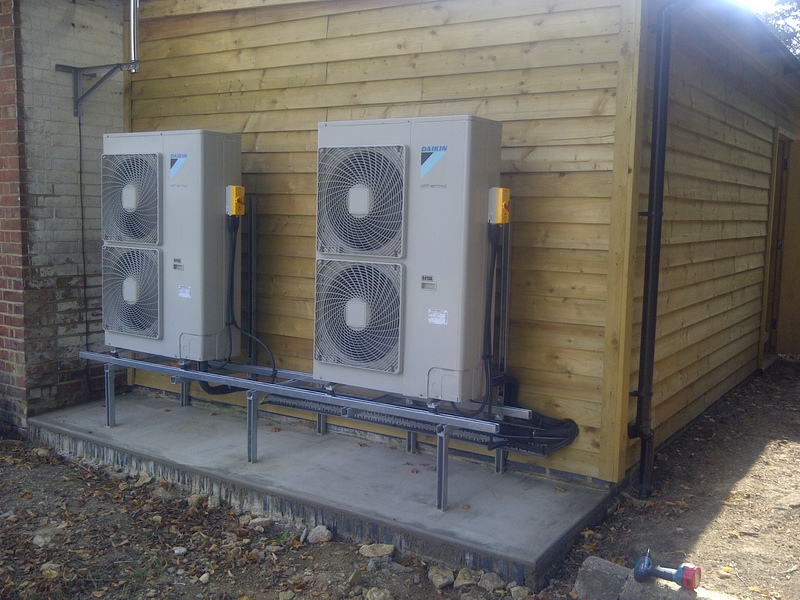 Doubling up on 16kW Daikin altherma heat pumps to provide the heating power for a boutique hotel barn conversion. 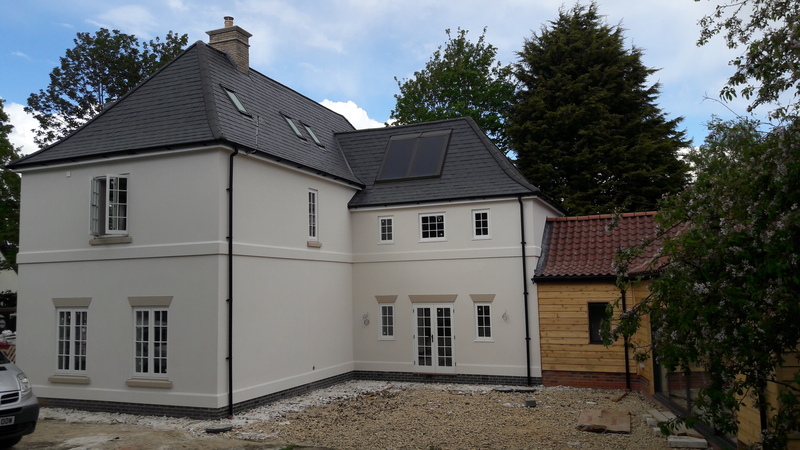 The unobtrustive 8kW Daikin altherma heat pump evaporator units provide an excellent heating solution to modern properties. Another solar installation by Griffiths. With all domestic installations we're contentious with our unit positioning. 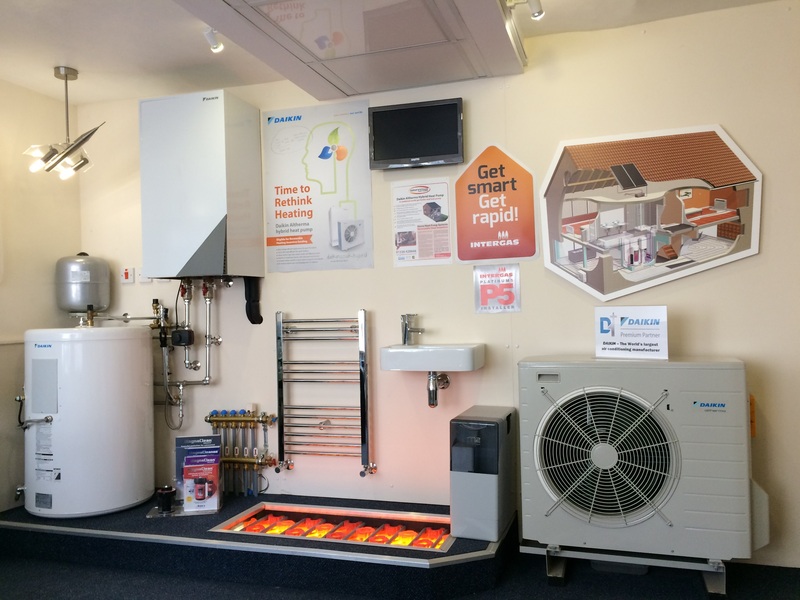 Visit our showroom to see a working high temperature heat pump system. Look out for our newly branded heat pump van!